Digital Art : Murat Miroglu is a Digital artist based in Istanbul. The use of striking colors and stain values in his digital illustrations are so intriguing and thought provoking. 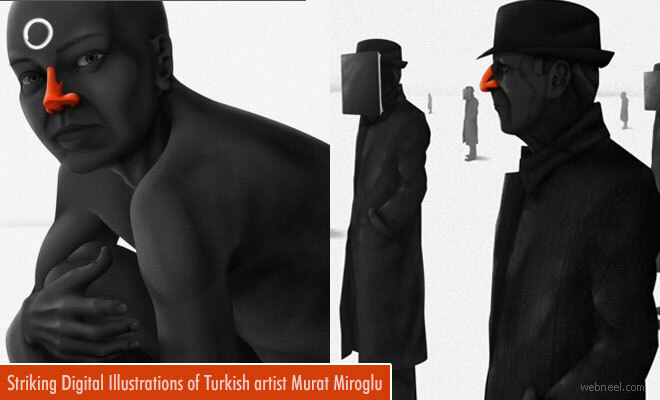 Murat has done documentary animation of Necdet Elmas who is known as the first Turkish gangster in history which is illustrated and animated for "Hikayesi Ne?" (a Youtube channel). The digital illustrations of Murat are somber and introspective, and brings to mind thoughtful science fiction. The hints of red strike a bold contrast which add depth to the art and life to his digital illustrations.